Heck yeah, I was going to suggest that. Maybe even do some rice things like tinting the taillights black, so when it is parked, it does present the question of gender. That could be a dudes car. A can of rustoleum sating black spray will do wonders. Also, this would be a great autocross car. 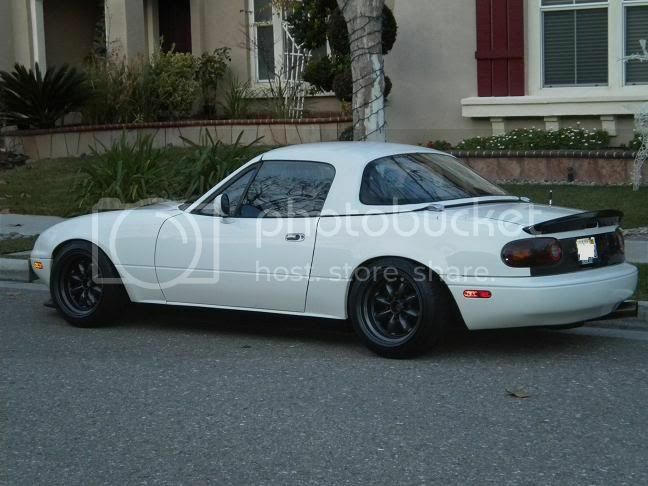 The most I'd do is repaint the rear panel (between the headlights) black, and find some wheels that are black. As judging by the Chevy, I like black wheels. Last edited by texan_idiot25; 09-02-2010 at 11:13 PM..
^^^ that would be sick to take some ideas from andd! !